Responsible for entering data from surgical records into the animal database, fielding phone inquiries from external customers, and maintaining excellent customer relations between Clinic staff and Clinic clients. Assist management team with administrative duties. Assist surgical and vaccination/wellness team as needed. Logs incoming phone messages and returns calls as soon as possible. Answers Clinic phone within 3 rings when possible. Provides copies of medical records to clients and veterinary clinics as requested and as authorized. Enters surgical notes, test results, and vaccination data into the animal database with a high level of accuracy and proficiency. Client phone contact to confirm appointments one week prior to, and the day before, spay/neuter surgery appointment. Prepares next day surgical patient folders. Assists with am surgical check-in. Processes payments for daily surgery patients prior to discharge. Fields calls for management team; take succinct messages. Keeps Clinic management team informed of any customer complaints and/or problems. Restocks Clinic lobby pamphlets, brochures and flyers. Enters Clinic (including vaccination clinic) microchip data into database and microchip company web page. Files a.m. forms, vaccination clinic paperwork, and any other paperwork as requested. Responsible for the set up, customer service, money and paperwork for the vaccination clinics. Assists the Veterinarian during vaccination clinic as needed. Prepares offsite vaccination clinic supplies for transport. Ensures vaccination reminders are given to clients. Assists surgical team as needed with monitoring and recovery of surgical patients. Assists management team with administrative duties as necessary. Furnishes information concerning the work of the Clinic and the Shelter; provides basic animal care advice and makes referrals as appropriate. Dispenses and gives information about prescriptions and/or special care to owners as instructed by the veterinarians. 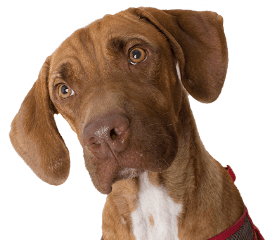 Provides information in person or over the phone regarding animal issues including but not limited to: animal welfare, animal laws (state, county and city), HSSA's policies and services, animal care and euthanasia or directs patron to appropriate department. Acts as liaison with Finance Department to maintain accuracy of accounts receivable. Work is performed at an animal shelter in the Spay/Neuter Clinic. Potential exposure to zoonotic diseases, dangerous and fractious animals, high noise levels, hazardous chemicals, and sharp objects. Field conditions may be encountered. Able to lift up to 50 lbs., long periods of standing, bending, stooping, reaching and working outdoors in differing climates and animal handling and restraint in animal shelter setting. Potential exposure of infectious diseases to owned animals. Able to handle all sizes and activity levels of animals. Communication and Contact: The Customer Service Specialist communicates effectively both verbally and in writing with superiors, colleagues, and individuals inside and outside of HSSA and has tact and above average communication and customer service skills. Attendance and Dependability: The Customer Service Specialist can be depended on to report to work at the scheduled time and is seldom absent from work and can be depended upon to complete work in a timely, accurate, and thorough manner and is conscientious about assignments. Relationships with others: The Customer Service Specialist works effectively and relates well with others including superiors, colleagues, and individuals inside and outside of HSSA and exhibits a professional manner in dealing with others and works to maintain constructive working relationships. Computer experience & proficiency (word processing and data base management). Must be solution-oriented with the ability to diffuse confrontational situations and solve problems. Software proficiency in Microsoft Word and Excel (or related packages). 2 years experience in Vet clinic field required. Possession of a valid Arizona driver's license and driving record acceptable to HSSA's insurance carrier.